In what is the third advertising-related article today comes news that General Motors will remove a Chevrolet commercial for the Trax subcompact crossover that refers to China as “the land of Fu Manchu”, where people say “ching-ching, chop suey”. According to the South China Morning Post, General Motors has admitted the spot contains “offensive content”, and has withdrawn the ad, which has been airing in Canada since early April and was also available on the Chevrolet Europe website. The spot starts out with a song that goes something like this: “Now in the land of Fu Manchu, the girls all now do the Suzie-Q, clap their hands in the centre of the floor, saying ‘ching-ching, chop suey, swing some more”. 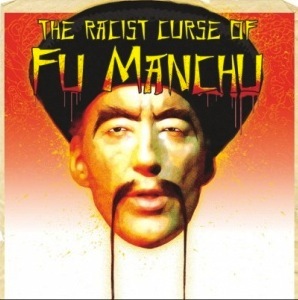 Apparently, The Mask of Dr. Fu Manchu was a movie released in 1932. In it, Dr. Fu Manchu offers a chaste blonde to a group of Asians, and asks: “Would you have maidens such as these for your wives? Then conquer and breed! Kill the white man … and take his women!” Since the film’s release, the character has become a symbol of Asian racism and of Chinese villainy. Roughly a week ago, Canadian broadcasters were given a new version of the ad that didn’t contain the lyrics; in addition, the ad will be removed from all Chevrolet websites globally on which it is available, GM Canada communications director Faye Roberts told the SCMP. Seems like a rather fun and entertaining commercial. But if it weren’t for this particular development, we wouldn’t have even noticed the lyrics — nor known about Dr. Fu Manchu. 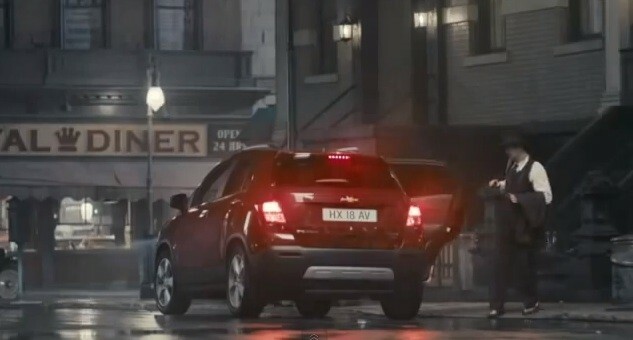 Either way, something tells us that GM didn’t use the “offensive” jingle on purpose. In lieu of this, we wonder if we should we cease calling China The Land of the Red Dragon. Just another case of a advertising firm hearing a catchy beat and doing the commercial. The fact is if you dig deep enough into anything you can make nearly anything offensive to someone. GM changed it and time to move along. Can’t get Trax in US. Now that’s Offensive! Yeah, you’ll have to settle for the Buick version (Encore) or come up to Canada and buy one. Wow, I can’t believe the lack of talent at the Agency and GM- this makes me wonder if they will make it, or not. In the age of Google, there is NO excuse for not checking and understanding these terms. Memo to GM & Agency: don’t rely on 20 yr old interns for your fact checking. Chop Suey was invented in CA/San Francisco. The city skyline in the ad is Los Angeles, interesting. Man, the ignorance & lack of due diligence on display here is spectacular. You are more irritating and offensive to Asian than the “20 yr old interns” you berate needlessly. GM what a bunch of WD’s! To hell with china. Whoever wrote that song is a racist.